Also watch out for that @MachoFantast1c0, it is rumored he only uses the finest of Russian hacks. I hate Russians so I'd have to go with Chinese or cook my own. But seriously, yesterday was pretty bad with hackusations. You are partly responsible for reviving me, resulting in a few zero death games. To be fair, on occasion I'd probably get suspicious playing against myself. Unfortunately nobody ever seems to take up on actually spectating when they lash out. Don't chit and eim bot, it's not cool. 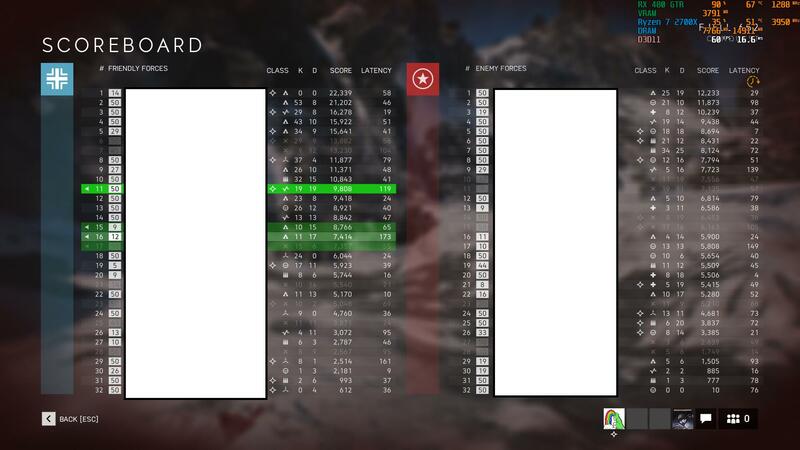 But that was a true Battlefield moment indeed, I think I got it as well. Dem tanks, they are all mine. I don't feel bad running assault since I use my explosives on vehicles. It´s easier than ever to control the recoil in this game. Just saying. Yeah, most of them are using no recoil. I watch one use the FG-42 sometimes and she has no muzzle climb. No hint of even trying to compensate, and she plays on PS4. There is a usb device that plugs into the console, then you plug the controller into it, and it works on both consoles. Offers no recoil, among other features. That's the new XIM. It is specifically designed with cheating in mind, not just as a MNK implementation on consoles. What you could say then is that, effectively, every shooter on PC and console has no functional recoil on any gun, and minimal spread. I suppose there could be a way to code something that notices that repetitive pattern, beyond human control, and just stop the gun from firing. I think that is one of the things FF tries to do.. detect that automated input, but obviously FF wouldn't have any influence in the game mechanics. I think that there is no way to stop cheating in anything. Then you end up with people thinking they need to cheat to even the playing field. Ultimately the people that choose not to cheat are knowingly putting themselves at a disadvantage. Literally every single thing that has a competitive component to it, people are going to cheat. There doesn't seem to be any moral imperative to be fair anymore. The consideration then is to choose whether you compete without cheating knowing that a lot of other players are cheating, or do you just not join that competition at all? FAKE NEWS!!!! XIM does NOT offer recoil control or macros, etc. I repeat. NOT!!!!! It might be easier to control recoil due to the fact that you are using mouse. The developers of XIM have stated several times that they will NOT implement macro etc, because they do not think it is OK to use. Get your facts straight before spreading false information. The devs themselves might not develop anti-recoil scripts; that doesn't mean they can't be written by users. I know they exists. But then it is scripts, not the XIM. But the fact that the XIM is even capable of scripting (actually its existence in and of itself) gives the lie to the developers' newfound noble intentions. One might wonder if they aren't covering their arses from lawsuits. 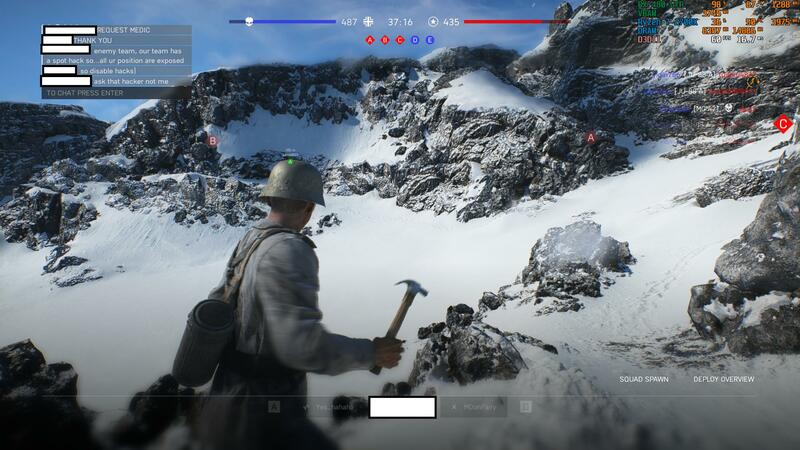 fook me, 181 pages of essays and not even 1 (one) reply from DICE / EA ... it looks like theyre not giving a rats **** about it (and us, bf community), its really sad. When the FAKE NEWS!!!! is.. well... fake. My facts are straight.. your semantics are irrelevant. I have a XIM Apex for my PS4 and am unaware of any anti-recoil option. When playing, my weapons definitely have recoil. I have spent extensive time learning about the XIM and how to set it up. I am not a casual user in my understanding of how it works and what it's doing. The XIM is intended to allow players to use a M/K on console. I'm not aware of any other functionality that would constitute cheating like macros etc. Antares...Can't you write a script that says, "when A" (or whatever fire button is pressed) then move cursor down X pixels? After a little digging, it looks like the XIM is being fed data through a non-XIM peripheral attached to a PC, where the M/KB inputs originate. So it's M/KB > PC client (where the scripting happens) > peripheral > XIM > PS4/XB1. Having messed about on SW:BF with a Horii TAC (in single player! ), I'm confident a vanilla XIM is a major advantage already. Thats right, the XIM grants access to 3rd party peripherals along with their firmware which allows macros to be created. I don't feel the XIM itself should be the scape goat though. I think the device has good intentions, obviously the implications have been seriously overlooked. The root of the cause is still where the macros are created, just like the PC scenario ... that is where changes need to happen. The scripts we are all refering to here should be prohibited to use during onilne gaming, how to enforce that is not for me to say. I actually agree with that. I probably over-stepped with blaming the XIM for cheating on console, but my point was more along the lines that it's actually a thing (cheating on console) and the XIM enables it. That goes back to my previous mini-rant that the problem really isn't the software or the hardware, it's the people that play the games.. and I'm convinced that cheating begets cheating in an endless loop. So look at it this way.. if I decided I wanted to go back to playing BF5, do I play it knowing that I'm inherently at a disadvantage, or do I cheat to even the playing field? I think that's a question that other people ask themselves, and some decide to go ahead and cheat. It's just a video game after all. It's an endless loop where more and more people are asking themselves that question because more and more people are cheating. I really do think that honest people are rare, and integrity is a vanishing value. In the US there's recently this big debacle of wealthy people cheating to get their kids into prestigious universities. Those people think that because they have money, they have an absolute right to things the plebs do not. They think they have more intrinsic value then everyone else. Cheating rolls down-hill.. again, just to even the playing field. It's one of the reasons why I'm misanthropic. I tried playing on-line chess (chess.com) since I like the game and have a decent rating in live club play.. that did not go well. Just like in video games, you get a feel for someone cheating.. in on-line chess, when a player is making moves with pretty much the same exact time to make each move, that's an engine picking the moves. They're too dumb to realize they need to alter the move time. I don't play on-line chess anymore. I used to do on-line auto-racing (iRacing).. until a big cheating scandal.. naturally via input devices. Some of the cars have manual transmissions.. you can imagine how easy it is to get autohotkey to do the shifting for you. Many other ways to automate things with the input devices to shave time off laps. Because money rules all, I think there would be an opportunity for some company (probably Sony or MS) to create a hardened platform, ruled by an iron fist. Don't allow a XIM like device. Make everyone play with the exact same hardware, same mouse, same console, no 3rd party devices, etc. Pay extremely talented engineers to design and implement it. Permanently ban any player that tries to alter anything with the device and peripherals so they lose the money they paid for the device. Just brick it the moment anything is altered. Something that was posted yesterday pretty sure this has been discussed before but take it how you will i guess. There's always going to be room for improvement, regardless of the tech you're using. We're getting there though. The amount of free cheats out there now is a tiny fraction compared to what was available in the early BF1 days. Zero is better then a few though, we know that. The unreal tournament mod, tactical ops? I loved that game, played it 24/7! So MK use on console is allowed?